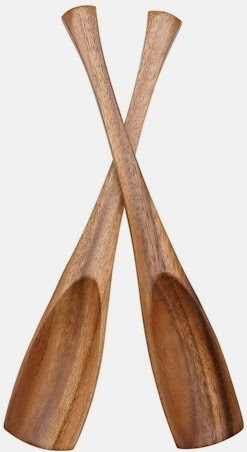 Amazon has this set of Dansk Soren salad servers, made from acacia wood, for $15.15 with free Prime/SuperSaver shipping. These beautiful servers got 4.3 out of 5 stars over 63 customer reviews. Length of "oars" is 15.5"